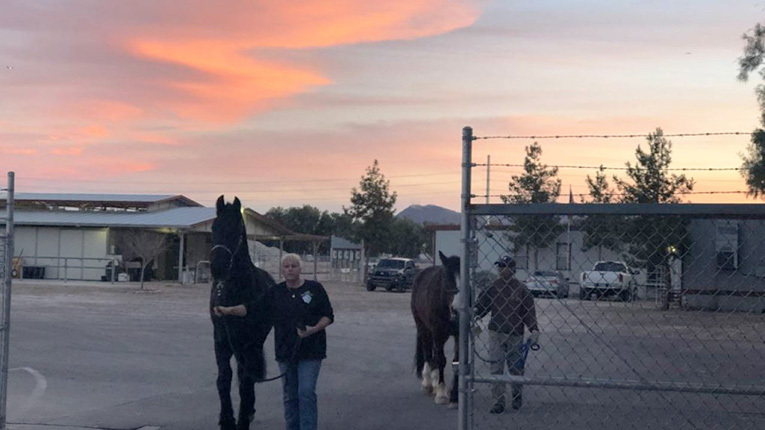 One of the founding officers of the Las Vegas Metropolitan Police Department’s Mounted Unit is sounding the alarm. “Crowds here in Las Vegas have become a norm,” said Retired Officer Kelly Korb. Whether they’re demonstrating or celebrating, it’s common to have a large number of people come together for different events in the city. Earlier this month, a fight broke out on Fremont Street after a parade downtown. “The safest most effective way to move a crowd is with horses,” said Korb. Korb, who retired from the department in 2015, worries about the future of the unit and the impact on crowd control. She is also the President of a non-profit that supports the mounted unit. She says the LVMPD, like other departments across the country, is downsizing from four legs to just two. In the past decade, she says the mounted unit has been nearly cut in half. Korb believes that one mounted officer is as effective as eight to ten officers on foot. We reached out to LVMPD for comment on Wednesday morning. As of Friday evening, we have not heard back. Meantime, there are ways you can always stay safe during events. First, make sure you identify where the exits are. Remember, it’s safer to stay on the outside of the crowd. Finally, if there’s a disturbance, stay calm and get to a safe area.